Posted on Oct 21, 2018, 5 p.m. According to a new study not exercising may be worse for health than smoking, diabetes, and heart disease, as published in the journal JAMA Network Open. Researchers suggest that risks must be conveyed to the general public of being unfit should be considered a strong of a risk factor as is smoking, diabetes, and hypertension if not stronger than all of them; and should be treated as a disease that can actually be cured with the prescription of exercise. 122,007 participants were studied retrospectively who underwent treadmill testing to measure all cause mortality relating to benefits of fitness and exercise; those with lowest exercise rates accounted for 12% of the subjects. More than $200 billion is spent per year within the USA on CVD and diabetes; rather than paying huge amounts of money for disease treatment patients and communities should be heavily encouraged to be active and exercise daily explains Dr. Jordan Metzl; adding a big revelation from research is that fitness leads to longer and healthier lives, with no known limits to the benefits of aerobic exercise, as a study has shown that ultra exercisers are not at risks. Most fit individuals did the best in this study; once individuals are cleared by their physicians they should not be worried or afraid of exercise intensity, says Metzl. As benefits were seen across all ages and sexes in this study. No age limit has been found that will not benefit from being physically active. 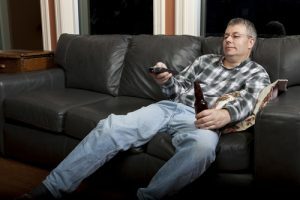 Risk factors of sedentary lifestyle were found to overwhelm strong risk factors such as those for diabetes, smoking, and some end stage diseases. Those that did not perform very well on the treadmill testing were found to have had almost double the risk of people with kidney failure on dialysis. Compared to those in the top percentile those with sedentary lifestyles were associated with 500% increased risk for death. Comparing risk of being sedentary vs highest performing the risk is 3 times higher than smoking. Comparing one who doesn’t exercise regularly with top performers the risk was 390% higher. Western lifestyles have become increasingly more unhealthy and sedentary leading to higher incidence of heart disease, studies show that this is modifiable and reversible with being physically active and exercise. Doctors have become good at treating patients with prescriptions for the symptoms of CVD, but these events can be treated. Doctors need to give patients prescriptions for exercise, the body needs to move, run, and walk; it’s all about getting up and moving.